يقع فندق Pinnacles Resort، المصمم ليناسب كل الضيوف سواء كانوا من رجال الأعمال أو السياح، في مكان ممتاز في أحد أكثر المناطق تفضيلاً في شاطئ إيرلي. يمكن من هنا للضيوف الاستمتاع بسهولة الوصول إلى كل ما تقدمه هذه المدينة النابضة بالحياة. 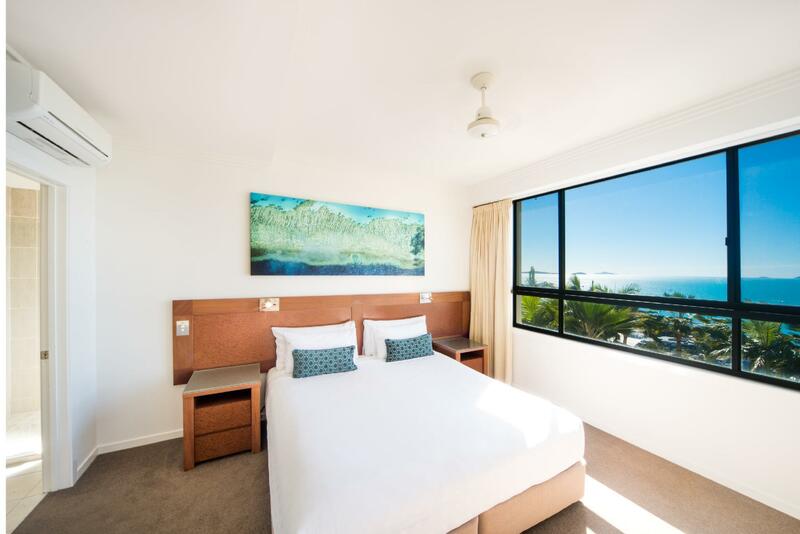 إن سهولة الوصول من الفندق إلى المعالم السياحية الشهيرة الكثيرة في المدينة كمثل The Doctors Airlie Beach, Whitsunday Doctors Service, Boathaven Beach هو استثنائي بحد ذاته. يعمل Pinnacles Resort على ضمان إقامة مريحة لضيوفه من خلال خدماته الممتازة وحسن ضيافته. هذه بعض الخدمات الموجودة في هذا الفندق: واي فاي مجاني في جميع الغرف, تخزين الأمتعة, واي فاي في المناطق العامة, صف السيارات, غرفة عائلية. يمكن للنزلاء الاختيار من ضمن مجموعة من الغرف المصممة بعناية لتعكس جواً من الراحة، والتي يتجاوز عددها 29. يقدم الفندق مجموعة رائعة من الخدمات كمثل مسارات المشي, مركز للياقة البدنية, ساونا, حمام سباحة خارجي, حديقة، لجعل إقامتك تجربة لا تنسى. 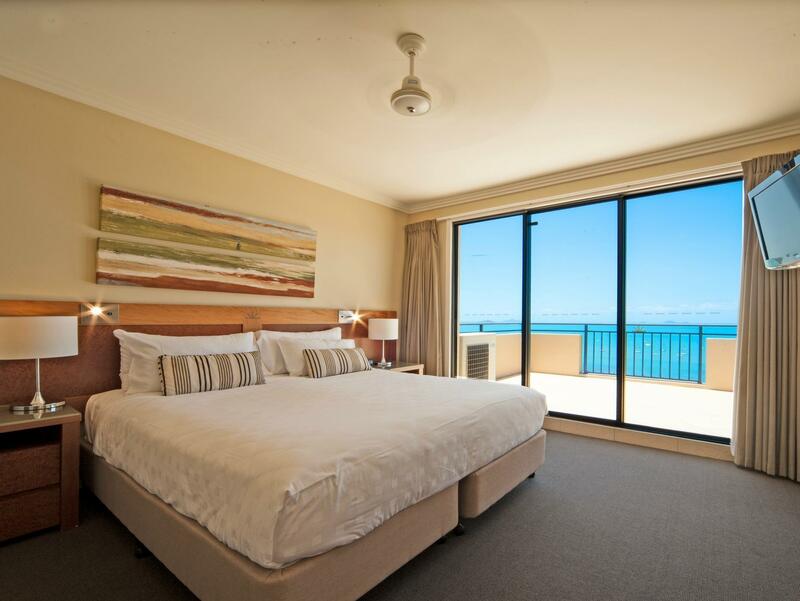 إن Pinnacles Resort هو خيار ذكي بالنسبة للمسافرين إلى Whitsunday Islands، بما يوفره من إقامة هادئة ومرحة. نظرًا للإعصار الأخير، سوف يخضع العقار لأعمال تجديد اعتبارًا من 15 يوليو 2017. Amazing views , beautiful room (and very clean)! Thank you Marisa, it was a pleasure having you stay with us. The infinity pool is amazing! Close walk to the shops, gorgeous views :) 5 star. Thank you Catherine for choosing to stay with us at Pinnacles. We are pleased you had an enjoyable time with us. Hope to see you again. The best room with the best view i have stayed in hands down, this place won't dissapoint. Thank you Mitchell. Wonderful to hear you enjoyed your time with us. Thank you Andrew for choosing to stay with us at Pinnacles. We hope to see you again. What a wonderful place this is. I can't rave enough about the view from our room & also the horizon pool. The weather was wonderful therefore the pool was warm, we did not venture far from this place as there was everything there. Just to be in the pool & watch the boats going out to the islands just kept us occupied. The resort is high up on the hill so therefore you just see everything but advice to maybe hire a car as getting up the hill unless you are a youngster will be exhausting. We will be back for sure. Thank you Maureen for choosing to stay with us. You were very lucky with great weather during your stay and lazing by the pool is the perfect way to relax and enjoy your holiday. We look forward to seeing you again. Amazing veiw, location and pool. Rooms were amazing and spacious! We are always pleased to hear that guests loved their stay with us. We hope to see you again. Highly recommend this resort! We stayed at a garden view apartment but still enjoyed spectacular views. The jacuzzi was clean and great. Apartment was very spacious and clean. As it is a self-catering apartment, there are no basic cooking ingredient but reception staff were happy to provide salt and pepper upon request. Like other reviews have said, there is a steep hill to walk up but that wasn't an issue for us. The resort is within walking distance to the main street with shops and restaurants. 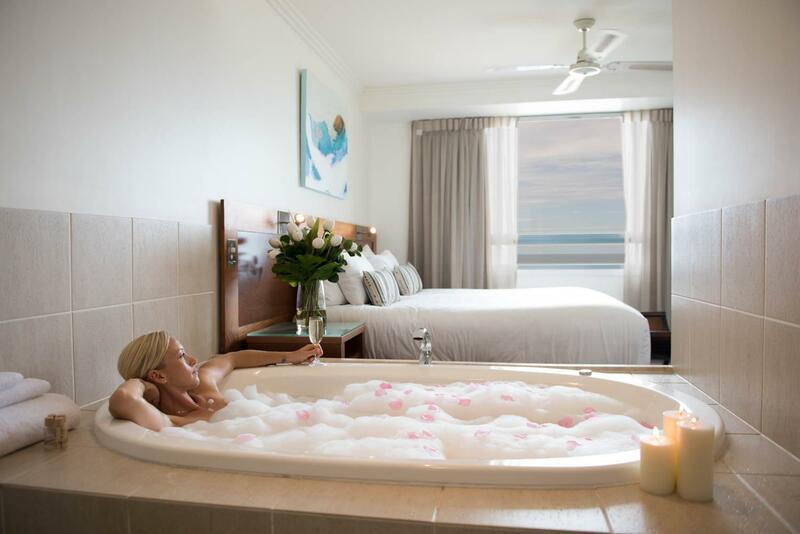 We will definitely stay here again the next time we're visiting Airlie Beach. Thank you Wendy for your kind words. We are unable to have basic cooking ingredients in the apartments as this is a safety issue once opened however as you mentioned we encourage guests to please contact us if they need anything as we are only too happy to help when we can. We hope to see you again in the future. Thank you for your kind words. Philip is a valued member of our team and does quite often go above and beyond to ensure that each of our guests have a wonderful stay. We hope to see you again. Views were stunning. I was in room 9. Rooms above me would have been even better. Staff friendly. Decor decent and self contained apartment well decked out. Rules were a bit strict but perhaps they have trouble with party goers. Some of the fixtures and fittings are getting old. Infinity pool awesome. I'd stay again. The customer service was great. The sea view from the balcony is terrific. The room is spacious and has a large bed. However, it is located on a hill and it is a bit exhausting to walk up the hill. What's more, we didn't know until we were there that NO room service was provided for stay less than 5 nights which is disappointing. Room cleanness is ok but not as good as expected. We enjoyed our stay very much. As apartments go, spacious and well-appointed. 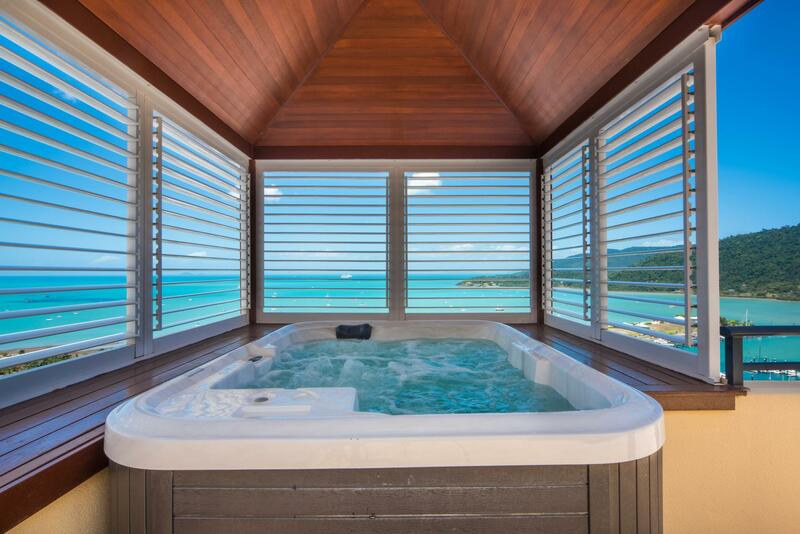 Large balcony with spa and two bathrooms. The apartment is actually very close to town...the only thing is it is a very steep walk up - not for the unfit, pregnant or elderly! Front office staff were helpful and it was not crowded at the pool. Would definitely recommend. Only not confirming 5 star rating as there was no room service and it was very difficult to find any takeaway food business that delivered (except pizza). A provisioning company will deliver groceries, but they are expensive. Beautiful resort, amazing views from balcony, pool and gym. great facilities. Hosts were very friendly and accomodating. Forgot my makeup bag in bathroom and host rushed up to get it and bring it back to me so I wouldnt miss my transfer. Very large beautiful rooms, has everything you need. A luxurious touch to everything. 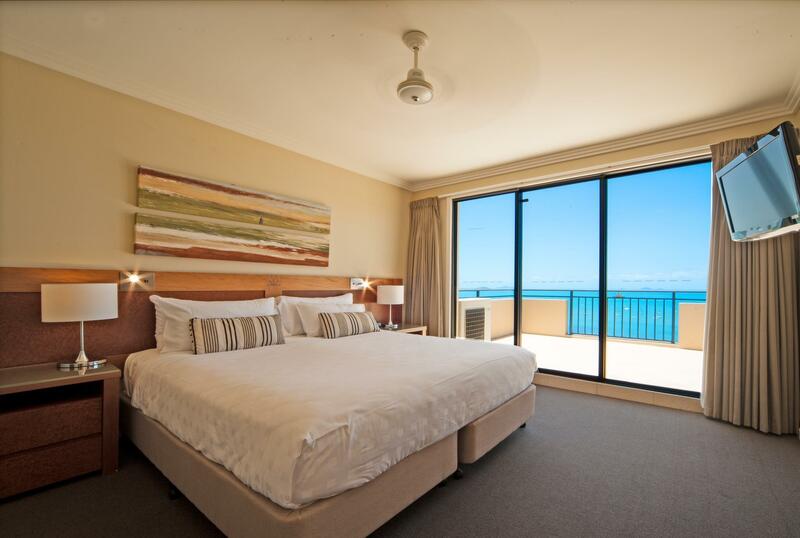 We had a lovely 3 nights at Pinnacles in a seaview jacuzzi room. 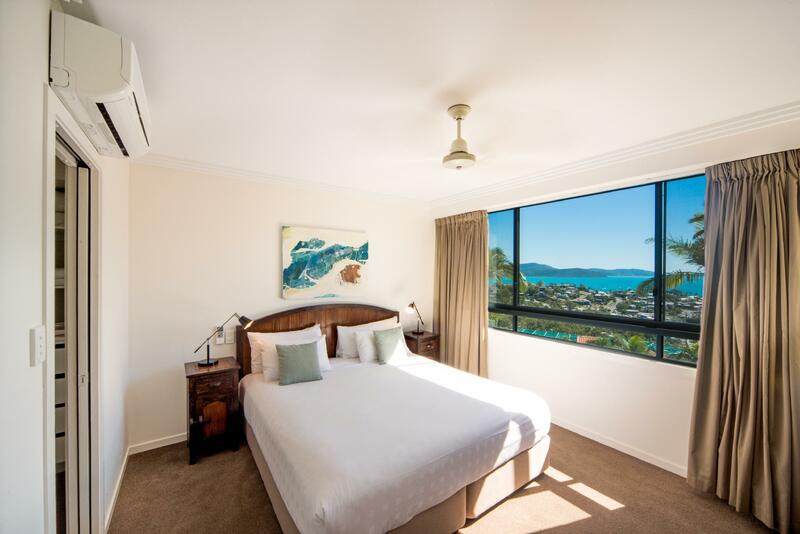 You are in a magnificent part of australia and the views from your private balcony are absolutely stunning, out towards the whitsunday islands. 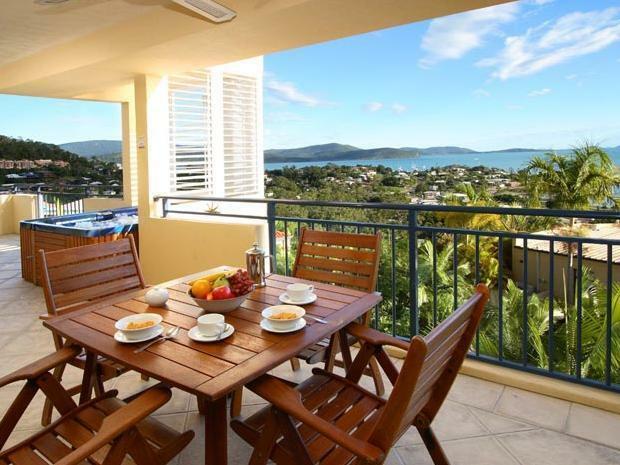 Located quite central to Airlie Beach, near to supermarket/shopping centre, although the walk back up the hill is quite steep, and then the driveway to the apartments is also quite steep. Staff dropped us off in a golf buggy after checkin, but it does make for a steep walk if you aren't driving. Overall a wonderful experience and a great base to discover the amazing whitsunday region from. Would definitely stsay again. Really relaxing and the pool was perfect. Location was also great because the restaurants were an easy walk away. Brilliant,we were there for a wedding and had 30 people staying in different rooms,so we got to see the 2 bedroom rooms as well as the 1 bedroom,they were all amazing,very spacious,clean and modern, the balconies were massive as were the bathrooms and showers.Only negative was when it rained the tiles, steps and steep driveway were very slippery and dangerous. we had a person slip down stairs and 1 on driveway.